For many years, my preferred choice of gin was Tanqueray. I then switched to Bombay Sapphire. But up until the last few months, I’ve never expected to switch to another gin that I prefer to make my gin and tonics with. But I have and Hendrick’s has found a regular place in my liquor cabinet. The gin is a product of Scotland and is 88 proof (44% alcohol). It was first produced in 1999, but the roots go back to 1948 with a different blend of spirits, using double stills and 24 hours of steeping. I’ve had Hendrick’s several times over the years. It’s a nice gin and very much like other gins, it’s infused with various botanicals like juniper. But the difference here are two prominent additions: cucumber and rose petal, which I think makes a difference in taste. And no worries.. the rose petals are not overbearing, but just the right hint to make this gin smooth. 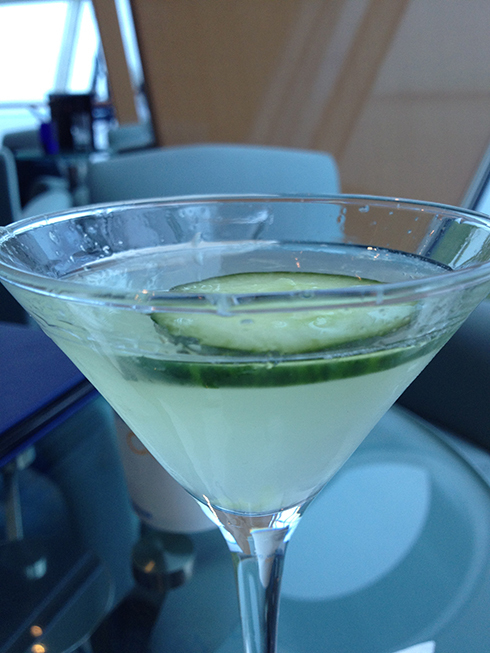 Add to that the cucumber essence and this gin takes the smoothness up a notch or two above the other mid-range brands. 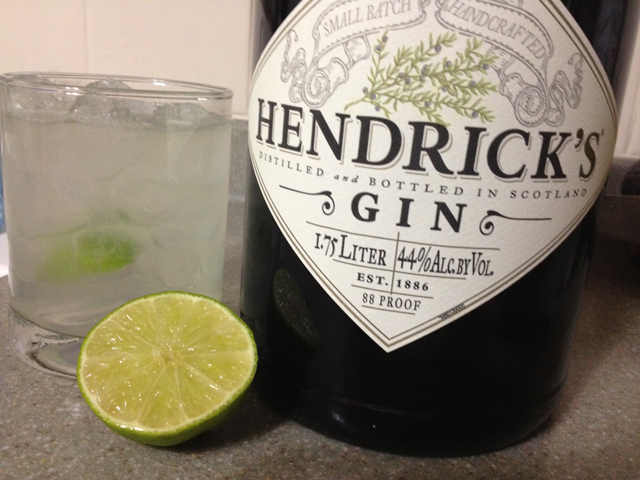 I’ve gone back and forth with my gin and tonics these last few months and I prefer the Hendrick’s each and every time. This doesn’t mean my beloved Bombay Sapphire will be shoved aside…. no, no, no. But I admit to really embracing this blend of gin. It’s pricier than Bombay Sapphire [a good $20 more per 1.75L bottle] but I think it’s worth the upgrade in taste, in flavor and in smoothness. I use a lime in all of my gin and tonics, but will have to try it with a cucumber garnish to see if it compliments the infused distilled additions.